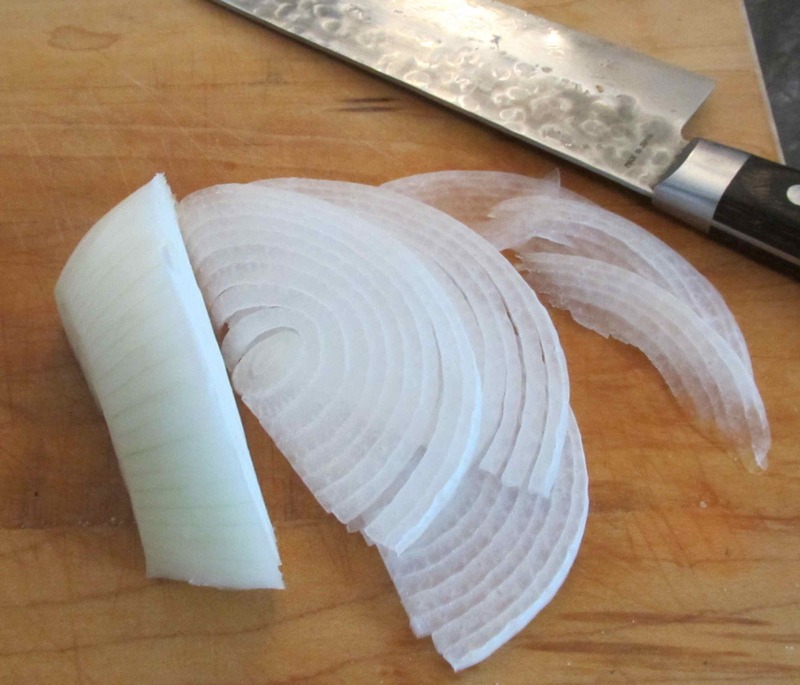 The idea is to slice the onion into very thin half-rings using a very sharp knife or, if you prefer, a mandoline. If presentation is an issue, you may wish to remove the central core first but, here I am just slicing the onion as is and only using one half. 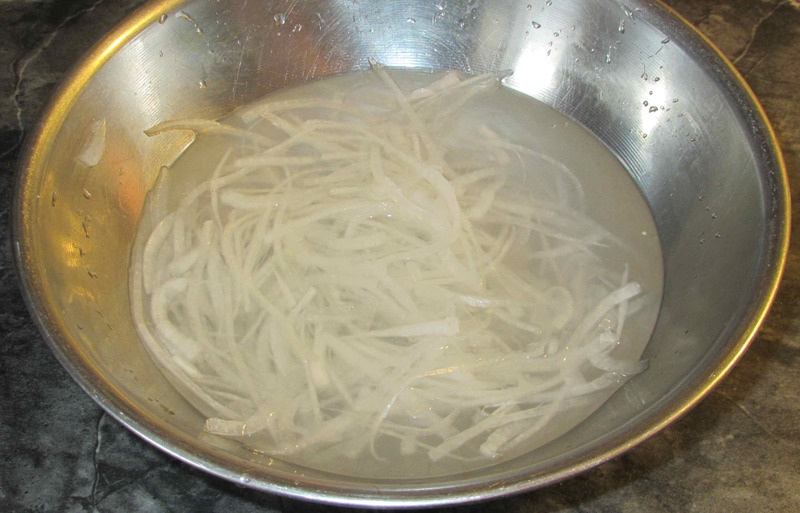 Once you have sliced the desired amount, separate the thin rings and toss with a very tiny pinch of salt in a bowl. 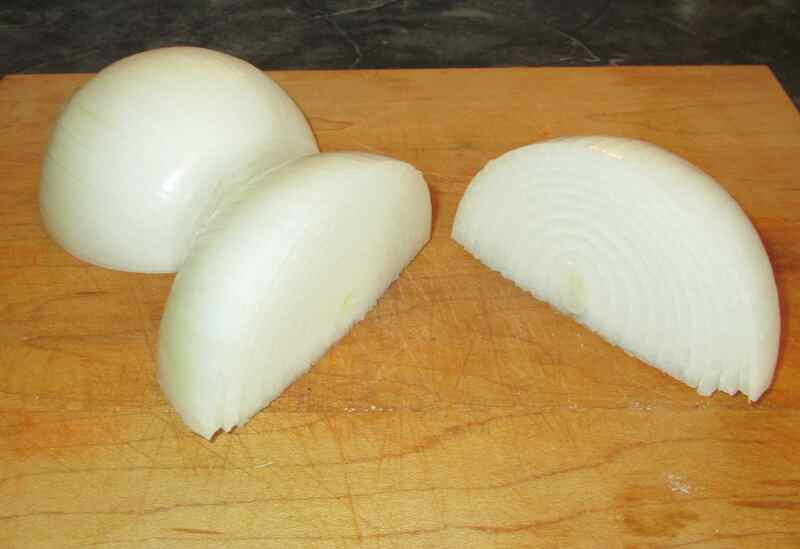 Next, cover the onion with cold water and then begin squeezing the pieces until the water turns milky as you see above. Repeat this operation three, or even four times until the water remains clear and then drain. Finally squeeze the pieces as hard as you can to remove any remaining water. That’s it … if you taste the pieces now, you will find that they have a lovely sweetness and none of the harsh, raw bite of fresh onion. As I mentioned above, these are particularly useful in salads. 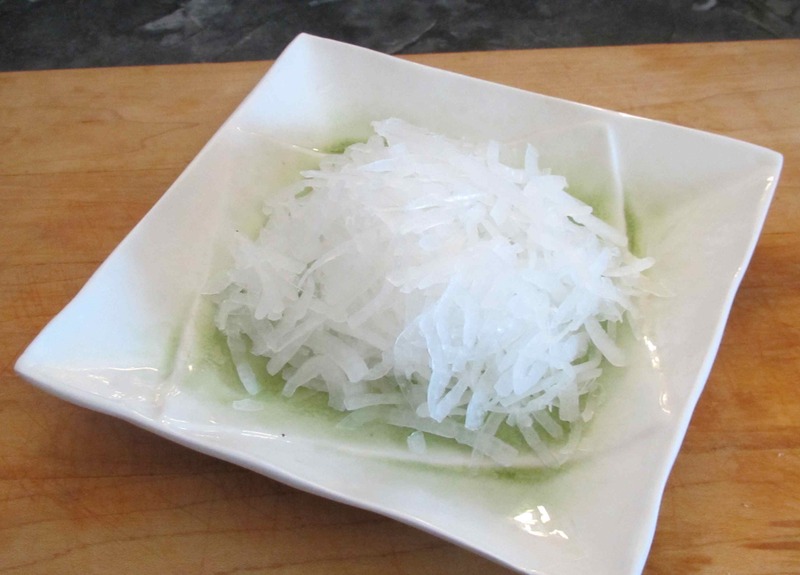 Another great use is as a plate garnish, much the same way as Japanese presentations often include a pile of finely shredded daikon. For this purpose, however, I would definitely recommend that you remove the smaller central core rings and only slice from the middle of the onion so that you only end up with long, uniform shreds. That is bloody brilliant! What a great tip. I’ll try this for my next salad. I’ve brined them in vinegar but never just water, I’ll have to give this a try. Thanks. This really is a technique that works…all the BBQ restaurants in Texas do this for anyone that wants onions on their BBQ beef sandwich. thanks for the wonderful tip.. onions here in my country really have that bite in them so i could really make use of this tip for my salads and sandwiches.. Always thought Italian restaurants were just better at choosing onions for salad than me but maybe this is what they do… Good tip. What a great idea. These will really come in handy! Great tip on a great technique, John! Thanks! Thanks for the pointer! That’s a great idea. We do that a lot in South America, we love our onions, raw, cooked…however! Great tip! This is great! 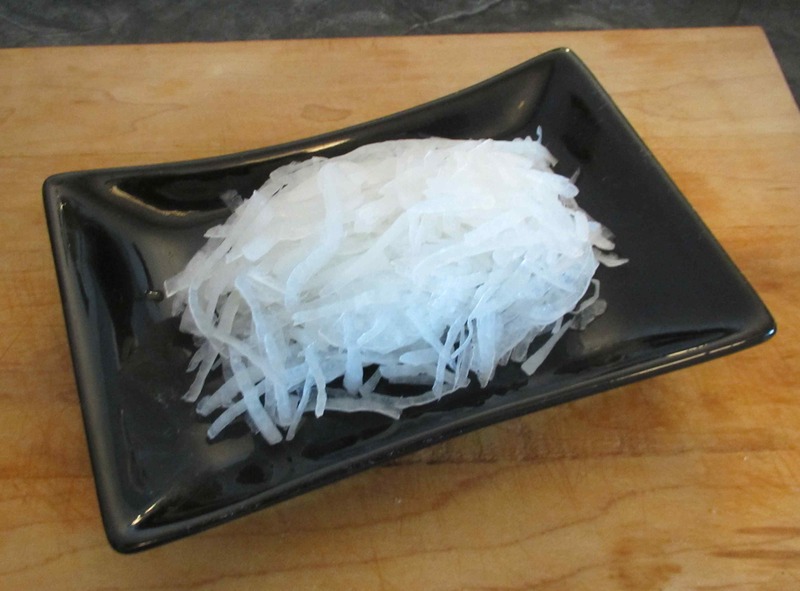 I’ve been looking for a simple way to take the sharpness out of raw onion. Can’t wait to try it. Easy and delicious as a relish!! Look forward to making this!! What a wonderful technique! I really love onions, but do shy away sometimes just fearing they’ll be too overpowering in a salad or as an accompaniment. Great tip! great tip. i had tried the cold water, but didn’t know about the rinsing. thanks. it works.